Looking for a special gift? Our vouchers are available in any value (£ sterling only) and are delivered electronically by email. Vouchers can only be redeemed online. There is no delivery charge for vouchers. You may add a gift message at checkout. 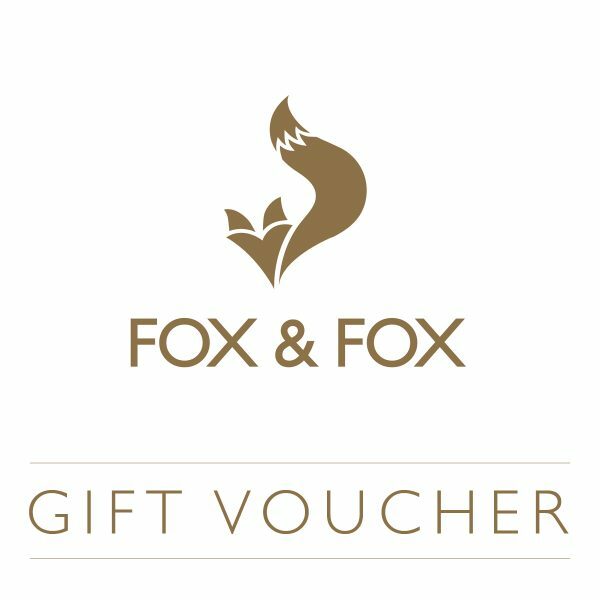 Your recipient will be able to exchange the voucher for wines to the same or a greater value as the face value of the voucher. If the purchase is greater than the amount of the voucher, then the customer will need to pay the remainder by BACS. All prices indicated on this website include shipping by Courier to UK Mainland. Delivery to some rural areas of Scotland may not be possible by courier. If this is the case we will quote you alternatives if they are available to us. Delivery charges to European Union (EU) or European Free Trade Area (EFTA) countries will be quoted to you in advance of your purchase and will be dependent upon your location. Wines are offered subject to availability. We reserve the right to alter prices. The prices payable for goods that you order are as advised by email prior to your purchase. All prices are in UK Sterling and are inclusive of Value Added Tax or Agricultural Flat Rate as appropriate and unless otherwise specified. We prefer to arrange delivery on a Tuesday to Friday basis so that our wine does not sit in hot warehouses over the weekend. Where possible we will try to accommodate your preference for delivery date. Delivery on Saturdays is available at an extra cost. Saturday delivery costs will be quoted to you prior to purchase if required. Generally wine will be dispatched within three days of our receiving your payment in full. You will be notified by email from the Courier that your wine is on the way. We will deliver the goods ordered by you to the address you give us for delivery at the time you make your order. To expedite delivery we will ask you for a contact phone number at the delivery address, the full postal address including postcode and a contact email address for the recipient of the goods. Please note that at those times of the year when high volumes of orders are being placed, e.g. Christmas, Easter etc., we cannot always guarantee delivery within the usual timeframe as we are dependant on the courier. Our courier will normally deliver between 8am and 4pm, Monday to Friday. If you are not at the delivery address at the time the Courier calls, the Courier will only leave wine in a safe place if you have given us specific instructions to do so prior to despatch. You will become the owner of the goods you have ordered when we have received payment in full for the goods and they have been delivered to you. Once goods have been delivered to you they will be held at your own risk and we will not be liable for their loss, damage or destruction. If you are unhappy with the quality of any of our wines please return them, with proof of purchase to the company from whom you purchased them. All goods must be returned in their original condition and wrapping, therefore please take care when unpacking goods and repacking. Once you have notified us that you are cancelling your contract, any sum paid to by bank transfer will be re-credited to your account as soon as possible and in any event within 30 days of your order PROVIDED THAT the goods in question are returned by you and received by us in the condition they were in when delivered to you. If you do not return the goods delivered to you or do not pay the costs of delivery, we shall be entitled to deduct the direct costs of recovering the goods from the amount to be re-credited to you. The following is a shortened version of our full Terms and Conditions. In the case of any inadvertent inconsistency, the full terms take precedence. Wines bought from this website must be paid for before delivery by electronic funds transfer (BACs) into the specified company bank account. Details for payment will be provided on your invoice. Credit and debit cards are not accepted at this time. If you make any input errors during the placing of your order you will be given the opportunity to check that your details are accurate before you submit your details. It is your responsibility to check that your order is accurate and to supply all relevant information accurately which is necessary to complete the order requested. Once your payment has been received by us, we will confirm that your order has been accepted by sending an email to you at the email address you provide when contacting us to place an order. We cannot sell alcohol to anyone under the age of 18. When placing an order you will be required to confirm that you are at least 18 years old and that you are not buying alcohol for someone who is under 18 years old. We ask that you ensure that there is someone available at the designated delivery address who is aged 18+ to sign for and take delivery from the Courier. You may cancel your contract with us for the goods you order at any time up to fourteen days from the date you receive the ordered goods, provided the bottles are not opened and the seals on the bottles are not broken. The goods must then be returned to us intact within 14 days of your notifying us of your cancellation. If you wish to return your order to us we reserve the right to charge you for the delivery service. Goods must be returned to us in the same condition as they left us and at your own cost and risk. If you wish to return goods due to cancellation of your order we ask that you do not unpack them upon arrival at your address. Please send them back in the same condition as they arrived with you. All goods must be returned in their original condition and wrapping, therefore please take care when unpacking goods and repacking. the goods you have ordered have been made specifically to your order from their generic form; the goods have been opened by you; or the goods have been altered or damaged by you in any way. To cancel your contract you must notify us in writing by email or post. If you cannot find our email address for any reason, please contact us on this website or telephone 01435 87 27 62. If we do cancel your contract we will notify you by email and will re-credit to your account any sum received by us your bank account as soon as possible but in any event within 30 days of your order. We will not be obliged to offer any additional compensation for disappointment suffered. Whilst we will endeavour to ensure that our communication with you reflects actual stock levels, there is a possibility of an item becoming unavailable before we are able to process your order. In such a case, we will offer a substitute that we feel is a suitable item of equal or greater value. In the event that we need to do this, we will contact you to discuss the substitution of an alternative product with you. If we are unable to agree on a suitable substitution then you will have the option to either modify your order, or to cancel your order and receive a full refund. Where an item price states “inc VAT & Duty”, the price shown includes these taxes where such taxes are applicable. All products sold within the UK and EU are subject to VAT at the prevailing rate and all alcoholic products are subject to UK Duty. Please note we do not filter our wines so, occasionally, some small flecks of grape skin or clear tartrate crystals may form in the wine. Both are entirely natural and will not affect your enjoyment of our wines. 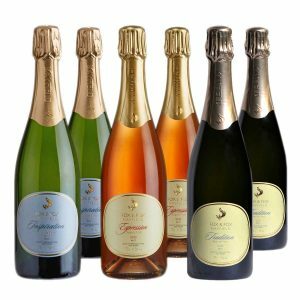 Make up your own tasting case or gift, just choose any combination of 6 bottles from the wines listed. Our high quality bottle stopper is specially designed to keep our fizz fizzing if you need to keep it for a short while. 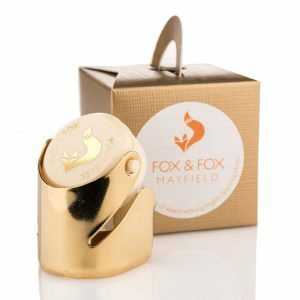 Comes in a matching box which makes a perfect gift or stocking filler.